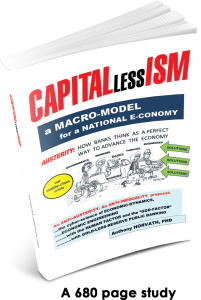 Author ANTHONY HORVATH PHD reveals a revolutionary new macro model for a strong national e-conomy in his book CAPITALlessISM. 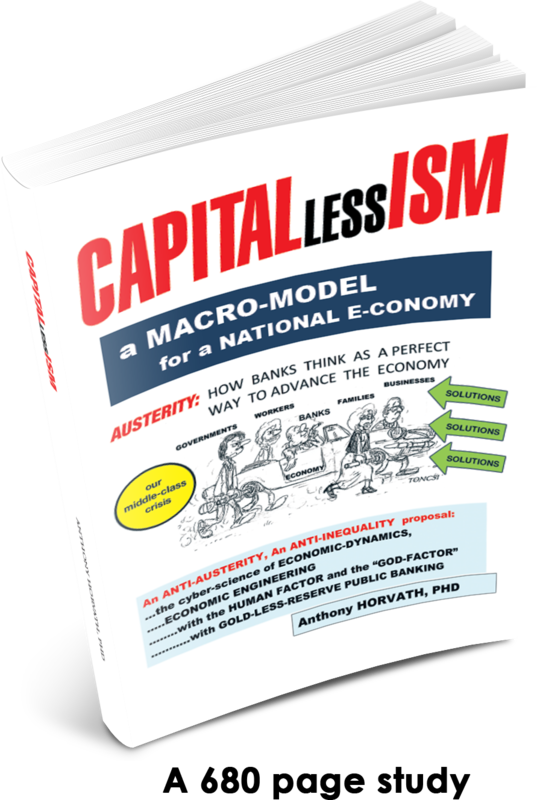 This book proposes a strong free-enterprise based, democratic economy model, or rather a complex MACRO-MODEL, when no capital is available for economic development, either because of a crisis or because of speculations. Fundamentally, it proposes as its heart scientific solutions for the design of a PUBLIC-PRIVATE BANKING SYSTEM BASED ON A VIRTUAL-CAPITAL CREATION PROCESS ESTABLISHING NATIONAL BALANCE BETWEEN PRODUCTION AND CONSUMPTION .